Research, design, test and supervise the development and performance of equipment and components for solar PV systems. 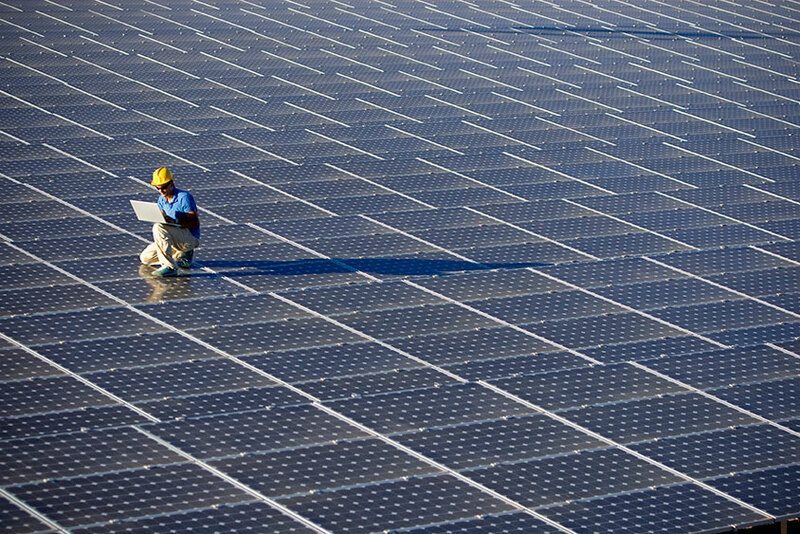 Electrical Engineers work in all areas of the solar industry. They prepare and study technical drawings and specifications of electrical systems to ensure that installation and operations conform to standards and customer requirements; Work with other engineers and clients to improve or develop solar products; Use computer-assisted design software and performance analysis equipment to improve controls and instrumentation; Direct and coordinate product development tests and assembly activities; Design, implement, maintain and improve electrical instruments, equipment, facilities, and components for PV systems; and Teach photovoltaic theory and practice to engineers, technicians, and installers. Typically requires training in utility-scale power generation, transmission and distribution. Engineering B.S. required. To advance in solar, electrical engineers also need several years of work-related experience and relevant on-the-job training. Entry-level engineers work as junior team members under the supervision of senior engineers. Some jobs require a Professional Engineer license.